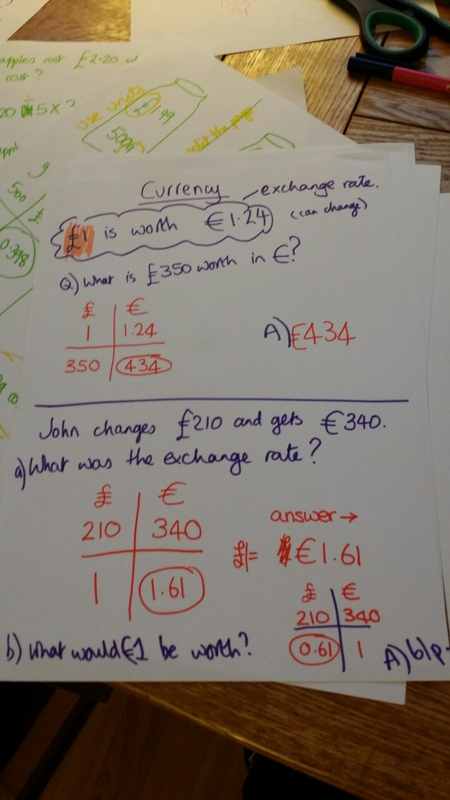 For Pupils in Years 7 to 11, I find the “bread and butter” cards on JustMaths really useful – entertaining, and a broad range of revision topics. Shows the layout of a stratified sampling question, the recycling of the numbers on the calculator screen, and the rounding. 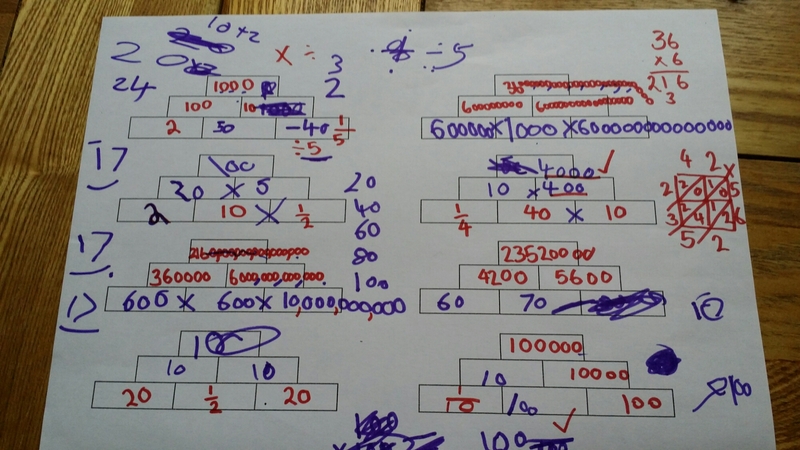 Proof that Year 4 students LOVE large numbers! My plan was to explore multiplication and division with A. But he quickly took the work doen the long numbers road…. by the end of 30 minutes he was owning multiplication by multiples of ten!